Dersu Uzala is the enthralling tale of an eccentric Mongolian frontiersman (Maxim Manzuk) who is taken on as a guide by a Russian surveying crew. While the soldiers at first perceive Dersu as a naïve and comical relic of an uncivilized age, he quickly proves himself otherwise with displays of ingenuity and bravery unmatched by any member of the inexperienced mapping team, on more than one occasion becoming their unlikely savior. 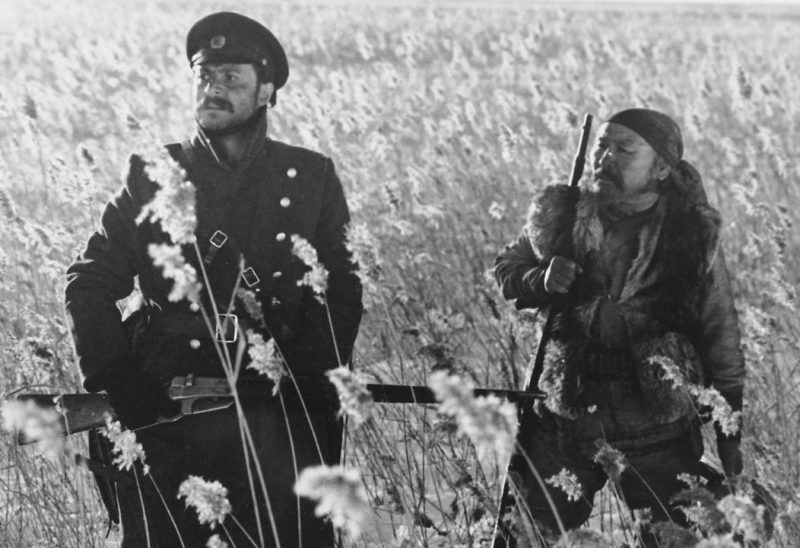 Through the eyes of a sympathetic Russian captain (Yuri Solomin), it tenderly observes the hunter’s physical and spiritual decline, mournfully paralleled with the gradual disappearance of the wilderness itself. This screening will be followed by a short informal discussion.